Take a deep breath, sit down on your favorite chair or lie down on a hammock and think. Have you thought of how 2014 was? Has it been kind to you or has it brought a lot of challenges and gave you some demise? I don’t know about you but this year has simply flown by. Perhaps I'm starting to feel the signs of getting old…..mmm. Anyhow, as I was pondering over my 2014, I can say that it has been extremely rewarding, how could not trying out different cuisines - from newly opened restaurants and cafes, not made it awesome. Though the workload have been undeniably cumbersome and sometimes stressful, the pleasure of writing my blog has not diminished even if there were times when finding the time and head space for creative thinking proved very challenging, indeed! Come to think of it, I also have tons of things to share here in my blog and my draft page is spitting pity on me for not being able to do so. So, regrettably, let me just share some of this food establishments that I was able to visit and try but was not able to blog about. If you have been a follower of my Instagram feed, you can see my where-abouts and yep, I was just mightily blessed of being able to discover a lot of new dishes, activities and whatnot. I just wished that was gifted with more time and abilities (availability, that is) for me to be able to write about all of them. When the people behind Resdiary invited me for a sneak peak of their product here at 2nd's I was able to savor what everyone who tried this have been raving about. True enough, everyone who had tried it for the first time swore they'd be back for 2nd's, I mean seconds (second helping of their sumptuous dishes). No, seriously. It’s bacon chicharon. Served with muscovado mustard dip and spiced vinegar. Chicken adobo filled creamy croquetas served with aioli. Mesclun greens, tomatoes, red capsicum, alfalfa sprouts, and matchstick kamote fries. Slow braised beef ribs adobo with garlic. Served with steamed rice and green mango and tomato salsa. Nutella and Cream Cheese mousse with a hazelnut graham crust topped with a Ferrero Rocher. Served with Frangelico caramel. Verdict: All that I've tried truly deserve to come back for. Comfort food in it's ultimate form and elegant ambiance a plus factor. 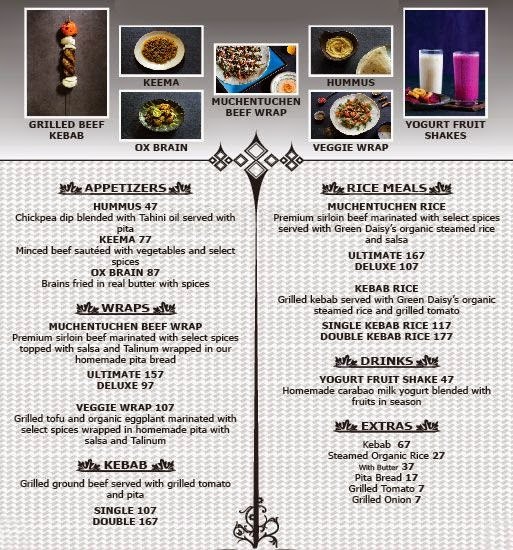 Located within the same space as Green Daisy, Muchentuchen specializes in Middle Eastern cuisine, serving affordable beef wraps, falafel, kebabs, rice meals and yogurt fruit shakes. Green Daisy on the other hand serves pre-planned organic menus for group dining. The lush greenery in the compound, with an address 20 Maginhawa Street, UP Village, Diliman, Quezon City is owned by Daisy Daisy Langenegger. In the same compound is a store for her farm's produce and other local organic products from other purveyors and farm owners. Seeing this as we entered the huge wooden gate gave us quite an idea what to check out here for. We also had the Veggie Wrap. Verdict: Food is love here, perfectly spiced and seasoned plus serving is quite manageable. You won't miss this place in your first turn along Maginhawa St., coming from Quezon City Circle. As you can see the prices are very affordable with the serving that could feed two to three children, hehe. SM Mega Fashion Hall carries a wide selection of cafes and restaurants to go to if you're feeling kind of craving for something and let me tell you, the spanking new fashion hall offers some of the countries haute foodie haven that can be found only here. I've been to Linguini Fini, Vikings, 8 Cuts Burgers, Chez Karine Bakery and I can't wait to try more. craze went even berserk. Though they have made their menu very extensive, I only went there for their cronuts. With these two beautiful adorned dessert masterpieces is a menu worth trying out too, so I guess I'll be coming back here. Can I say the era of cronuts had not died yet and still continues to delight sweet-toothed foodies like me. One of my favorite hotel service buffet restaurant is Flavors. If you haven't visited the New Bluebay Walk then you are missing half of your foodie life. My first visit was when I came to Hot Star Large Fried Chicken on its opening late March of 2014. I was in awe, never realizing that a treasure trove of restaurant gems exist in my turf. Having lived in Pasay all my years, I've been going away from MOA and Pasay to try out different food establishments when all along there are a lot, and I mean a lot to try to. That being said, I haven't even made a list of them that I tried, so I'll be making one then and share them to you, Pasay dwellers. But first, you got to come and explore the park along with the establishments surrounding the whole ground before the traffic and crowd makes it coming here a bit hard. First off is The Ostrich Farm. I'm kind of loving the country-feel it tries to in vibe their diners with. It's a small restaurant perfect for having that quiet talk and eating with your buds. Their menu is straight-forward and most of it's options highlight ostrich meat, making the joint really unique. It's not my first time to eat ostrich meat as we had it when we went to Gensan and when I had the Northern Mindanao Familiarization tour with the Philippine Tourism Board. Apparently, an ostrich farm is present in Cagayan de Oro, to educate tourists and locals alike, breeding and consuming them like poultry. So it's not like we're putting the ostrich to extinction when we think of eating them like turkeys. They are the newest farming innovation and many benefits can be claimed from raising them. Here is part of their menu, so don't be intimidated with the idea of eating ostrich. If you aren't adventurous as we are (Bhogs and I), you can opt to have burgers and rice meals made not of ostrich meat. 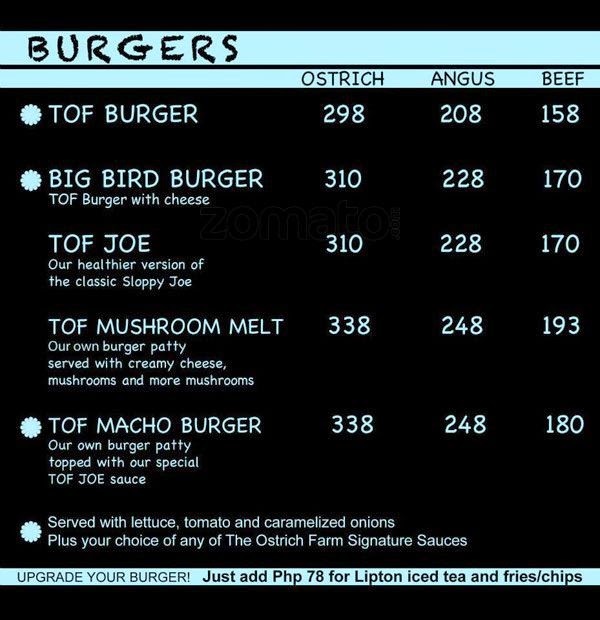 As you can see in the menu, Burgers are of Angus, regular beef and of course ostrich. But the experience would be a bit senseless right so why not get your taste buds explore. Let me share first what I had. It's probably one of the best Adobo that I've tried next to my Papa's recipe that is or probably even better, oh there, I'm confused! TOF Adobo with Garlic Confit is a must to order. Get ready to have your mouth suffer the consequence of having garlic-breath. But I didn't mind, thus I'm ready for any vampire attacks. Confit, btw, is the slow, low temperature cooking of an item in oil. Confiting garlic brings out the sweetness of garlic and also takes away any acridness. The result is soft and creamy garlic cloves that spread easily on bread. Needless to say that if you're feeling under the weather, garlic is a great way to boost your immune system and this is the most delicious way to have it over the capsule form. Might I say all the good treats and taste gotten from "confitting" the garlic was obviously a delight with this dish. A serving has slices of fresh tomatoes and boiled egg all over a cup of rice. Ostrich is a lean, tender red meat with a light, delicate flavor similar to prime quality beef. Ostrich is extremely low in fat and cholesterol. Bhogs had the TOF Macho Burger, well, not that he's trying to be macho and all but I found the name interesting, "malay mo maging matcho nga sya kakakain nito, hehehe." The ostrich patty that made this burger up was savory and seasoned enough to his taste, we also were asked for his choice of sauce to go with the burger and chips. He had Bleu cheese sauce. Pork floss love even though it's cheap. The Panalo Fried Chicken of all from the Aristrocrat Restaurant! Coming home from Sunday Gospel service at New Life, we would pass by either McKinley Hill or Bayani Rd, BGC and I would always gloat on some of the restos we would pass by, those that I haven't tried yet. 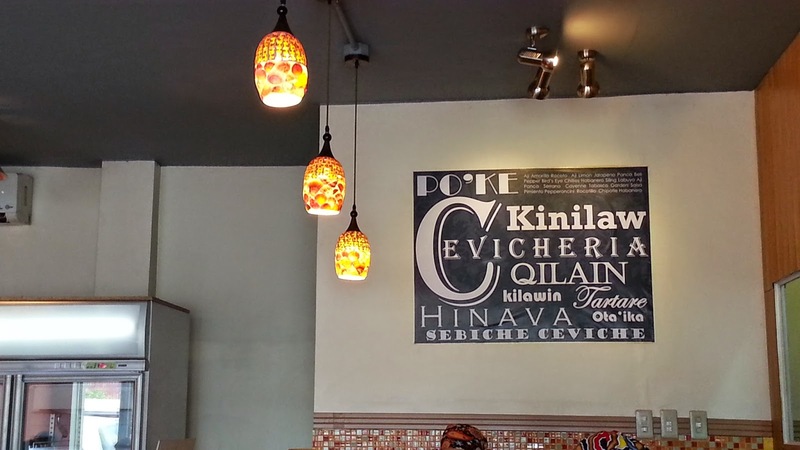 One restaurant always get me bright-eyed and all bushy-tailed, but I could not get Bhogs to make a U-turn or a stop over at this small cevicheria, I really don't know how to call it in other name and as it suggests, it serves up unique takes on regional kinilaw or ceviche. I love everything on their menu, however, I'm afraid that I might get my tummy aching from the sour dishes right before me. Note that, this time, I was alone and I was told that the serving is good for two to three people. 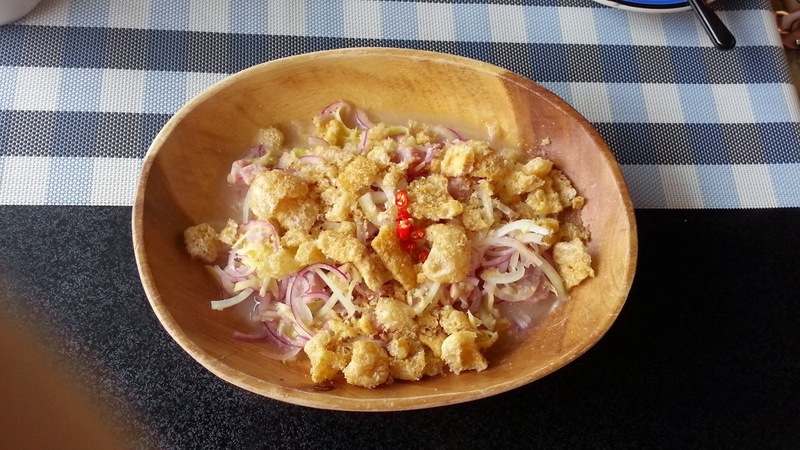 I would love to go back and bring my whole hungry clan here or come some other time and try other ceviche varaints, for now, let me share two from their menu, both I love. The dungon is a pre-Hispanic nut from a tree that people use with kinilaw. A very tough nut to crack where seed inside is grated and soaked in either vinegar or water and squeezed for its sap. That sap is used to wash the raw fish before it is served with other ingredients in the kinilaw like green mango, tomatoes, slivered ginger, onions, etc. I also ordered this solo meal bowl of Hawaiian Tuna Ahi Poke. I love this though it has tons of (probably a third of the bowl is made up of sliced raw onions. 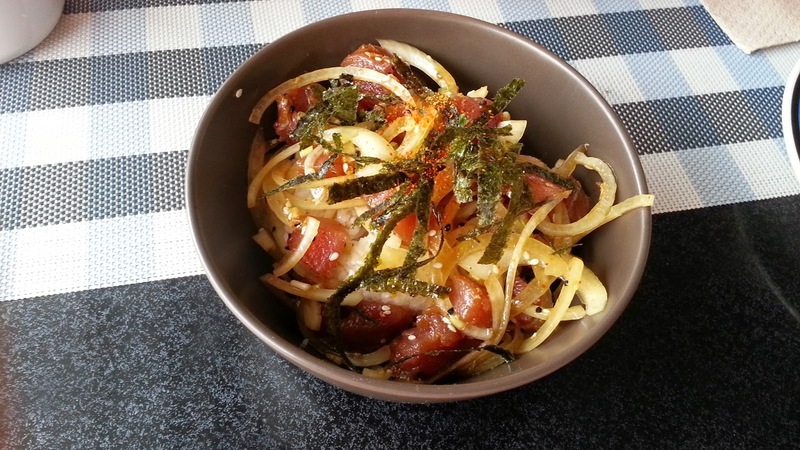 After segregating most of the onions, I managed to enjoy the raw tuna cubes, seasoned well with sesame soy sauce and Togarashi spice and spiked even more nori flakes. Sesame soy sauce-flavored rice is hidden at the bottom of the bowl so this is a good meal in itself. I hope I didn't give you some cravings for these dishes, if ever I did, I bet it's time that you visit them yourself. 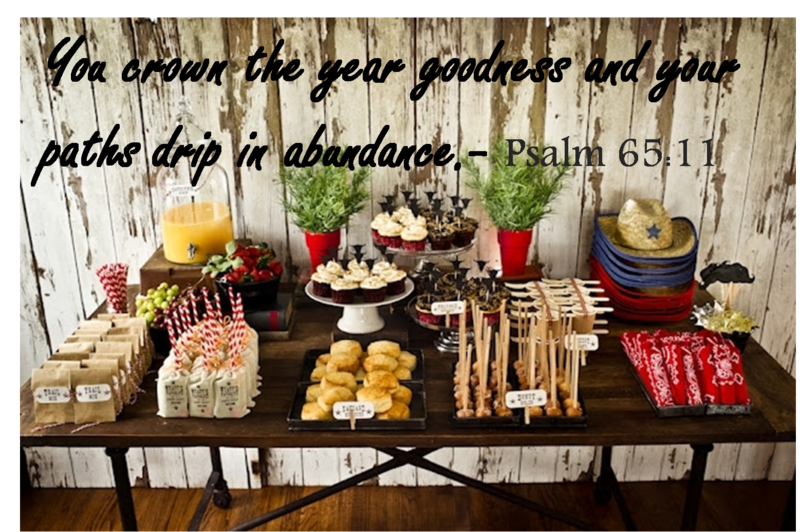 Enjoy and indulge in the goodness of the year 2015! I actually made a note with all these places so I can visit when I go back home. Thanks!